This is my sketch of the Lunar Eclipse. In Poland the initial phase and the main phase of the eclipse was impossible to observe. But we could watch the final phase of the eclipse. 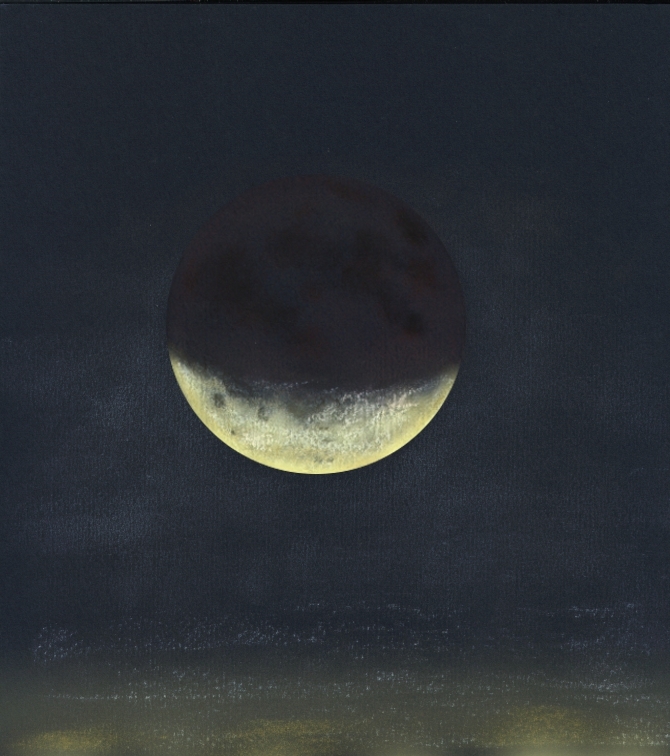 This sketch shows the Moon coming out from the shadow of the Earth. Conditions: faint fog, light pollution. wonderfull sketch Alexander!! I can’t made the sketch because the weather was bad,rain and clouds on the sea…i come back to home depressed. This is a beautiful capture of the partial phase of the lunar eclipse. Wonderfully executed! Terrific sketch!!!! Very artistic too. I like it a lot!